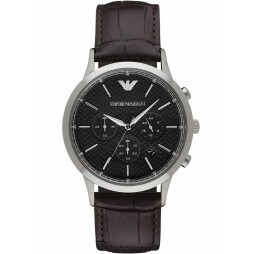 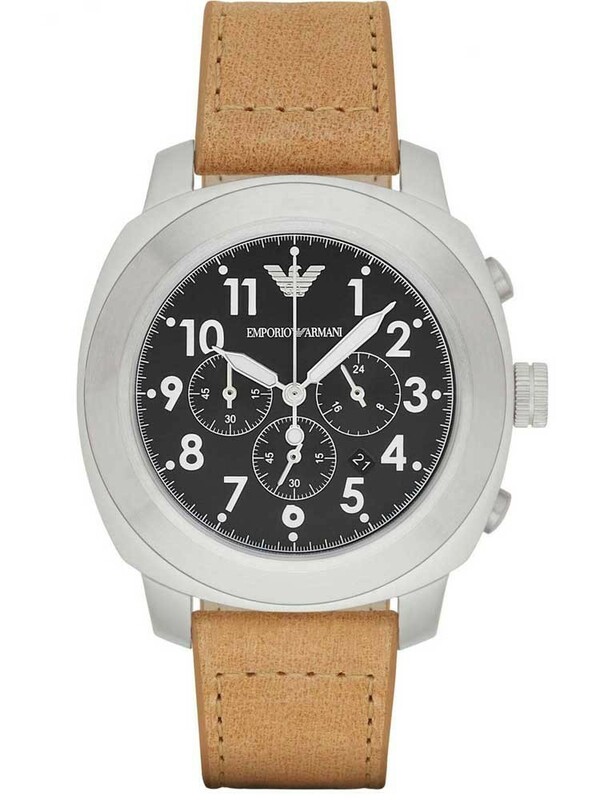 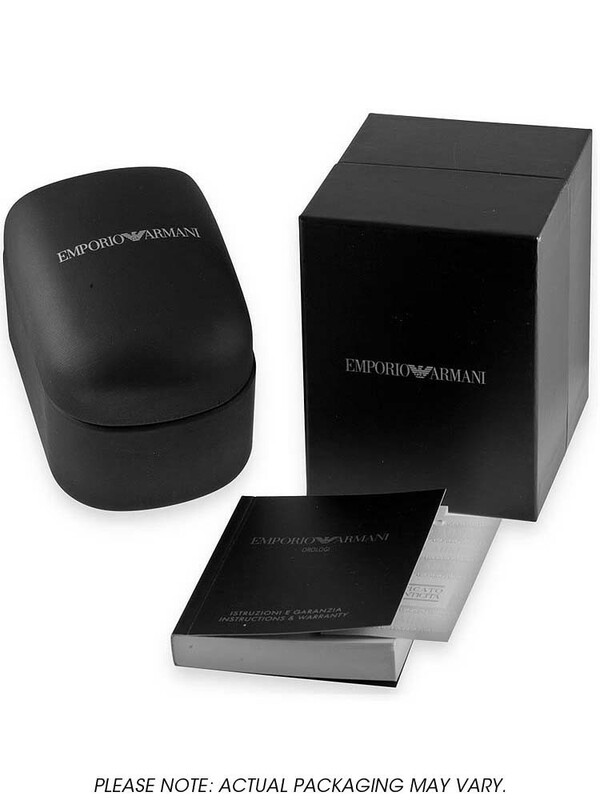 From the Emporio Armani Collection comes this handsome mens strap watch. 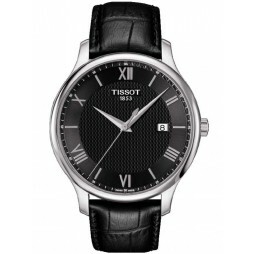 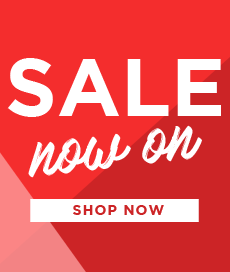 The round stainless steel case holds a modern style black dial featuring full figures, chronograph sub-dials and date window for extra functionality. 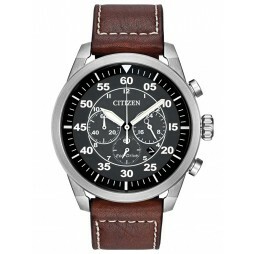 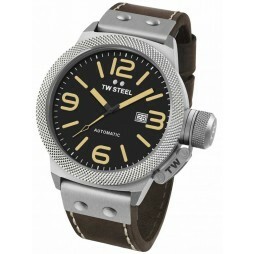 A comfortable brown leather strap and traditional buckle completes the look in style.